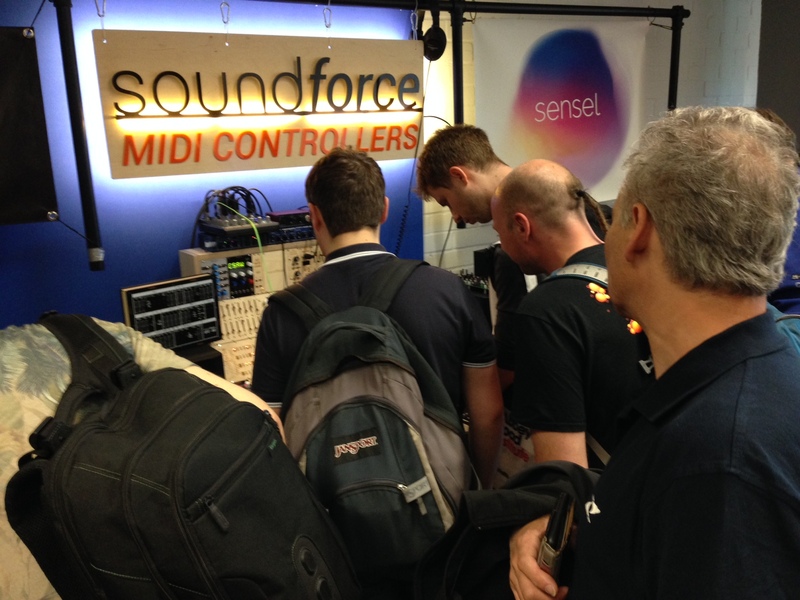 Superbooth was truly amazing. I will be back next year for sure. I had the opportunity to talk to a lot with visitors and got some great feedback. A lot of people requested the possibility to change the CC values of the each control (to control hardware synths with fixed CC numbers), so when I got back from Berlin I worked on it and created a small application where you can configure every CC messages number and even change the general MIDI channel. There will be one for each controller. 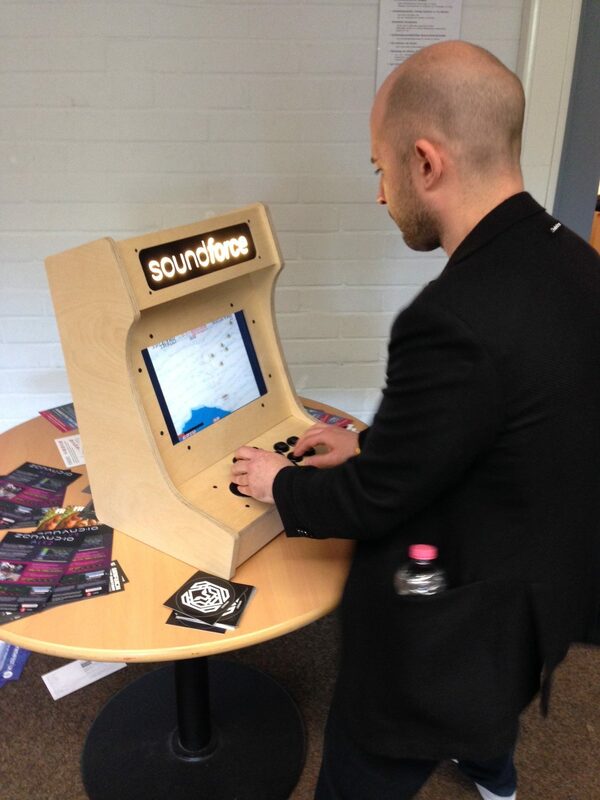 But it was also great to meet other companies/makers and talk to plug/software makers. In the evening, the gigs were great and the atmosphere was fantastic with all those crazy synths makers from all over the world. If you live in Europe (or not), consider going next year, it’s worth it! I am happy to announce my 3 new MIDI controllers. 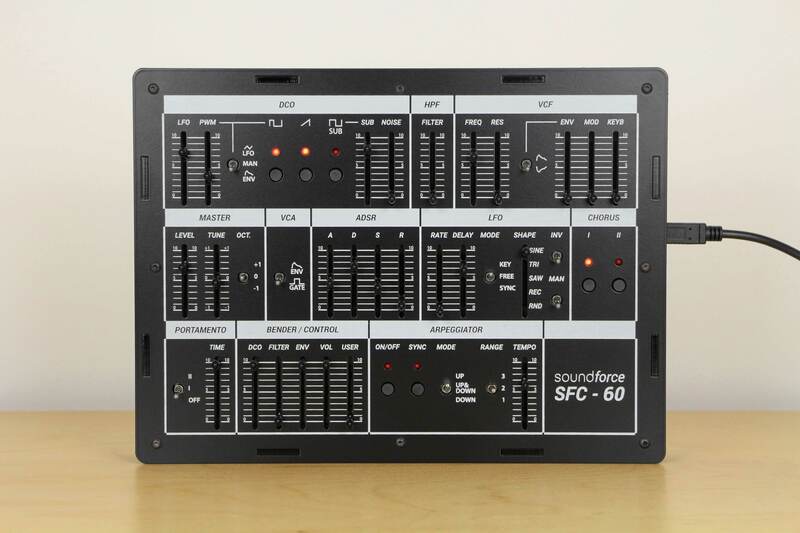 The SFC-Mini & 60 got revised and are now updated as version 2. 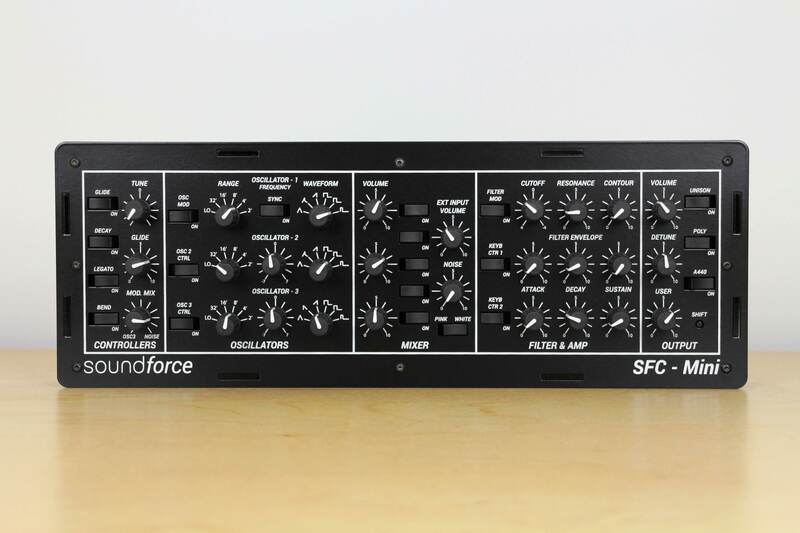 I am also bringing out the SFC-5, for all the P5-style synth plugins. The front and back panels are now made of metal cut in The Netherlands. The material is powder coated in Germany and finally screen printed again in The Netherlands. The result is an extremely though and beautiful panel. 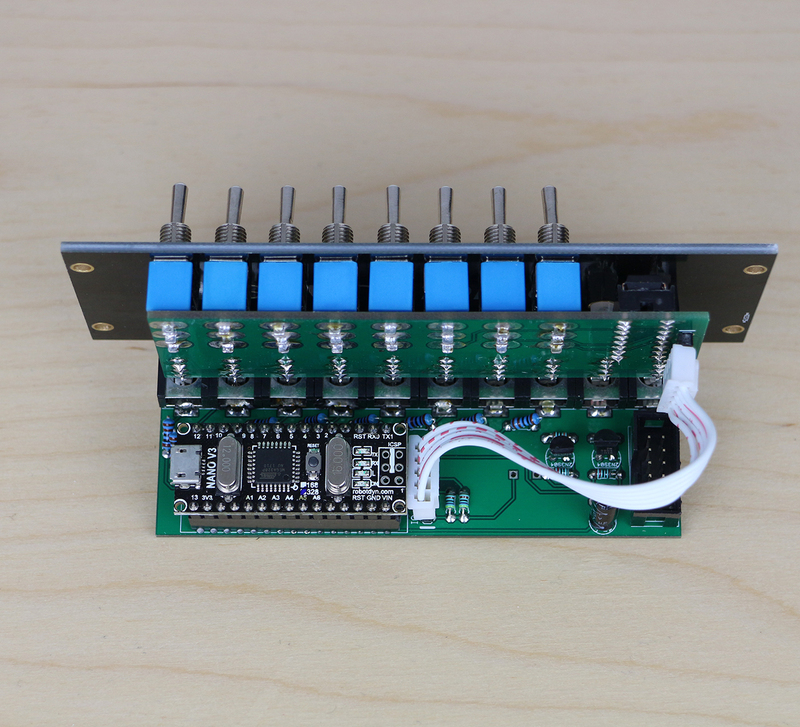 Another update is more controls for the SFC-60 and rocker switches for the SFC-Mini. 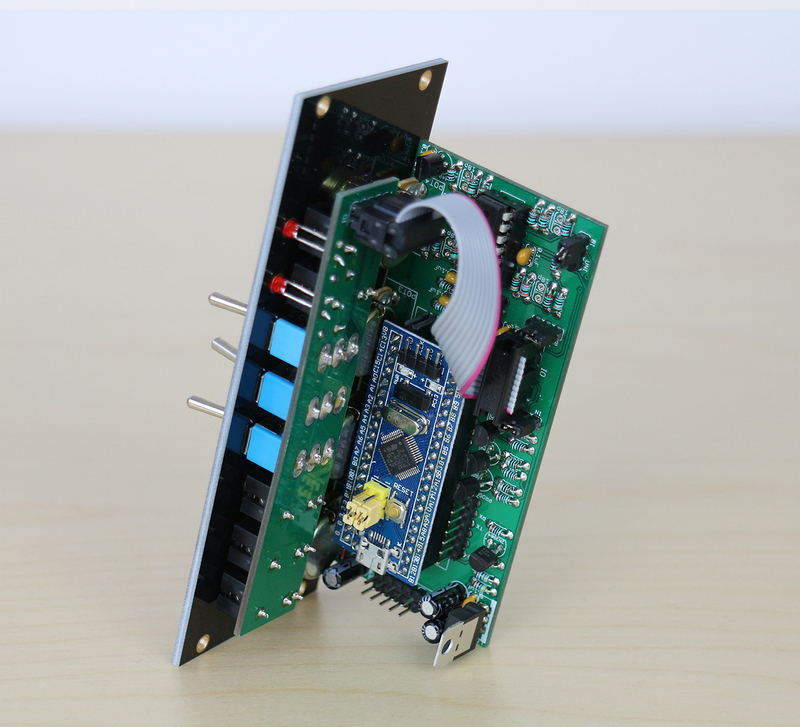 Another cool DIY module I will show at superbooth, an Arduino Nano based clock mangler. 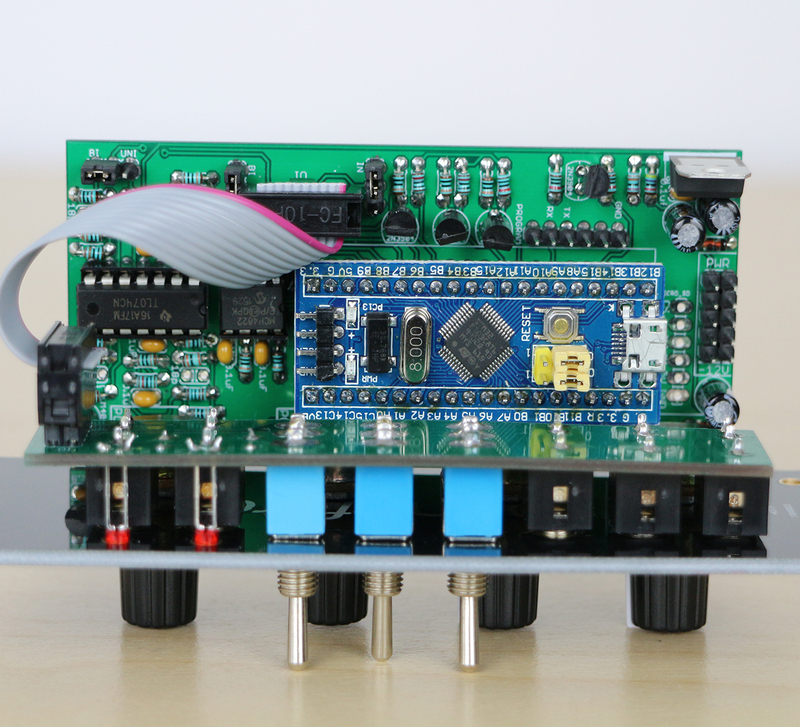 Its open source firmware allows you to learn programming for synthesizers clock applications as well as creating your custom firmware for your own application. 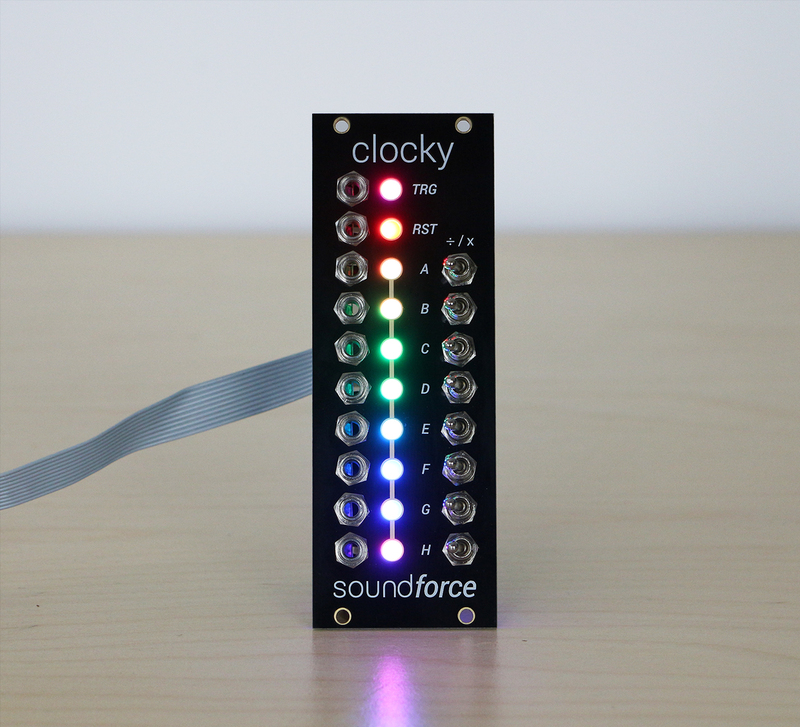 Think about a clock sequencer, a binary counter, random clocks generator, etc… Oh and it has fancy RGB leds. Today I picked up from the powder coating company all the front and bottom panels for the MIDI controllers. 100kg of steel and aluminium parts. It was done in Germany in Gronau just across the border. Check out the size of the oven. Tomorrow the front panels get screen printed in another city nearby. 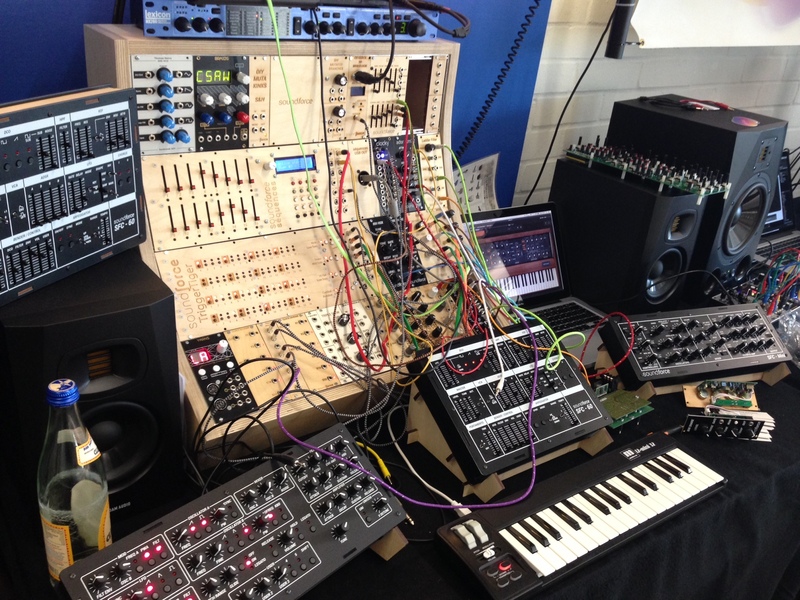 I will show and demonstrate a number of DIY Eurorack modules. Easy builds on a reasonable budget. 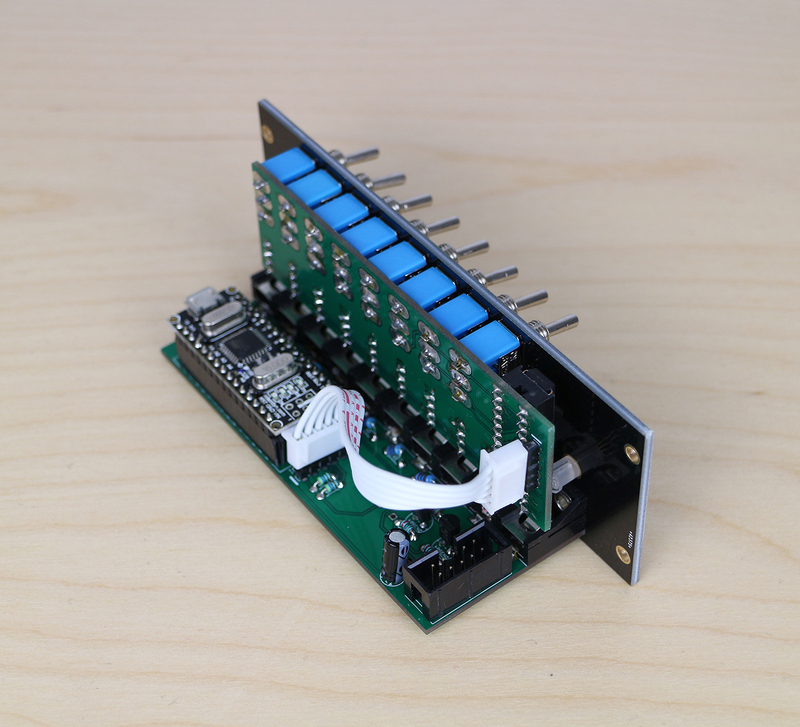 Here is one I like a lot, a STM32 Arduino-compatible trigger/gate to CV module. 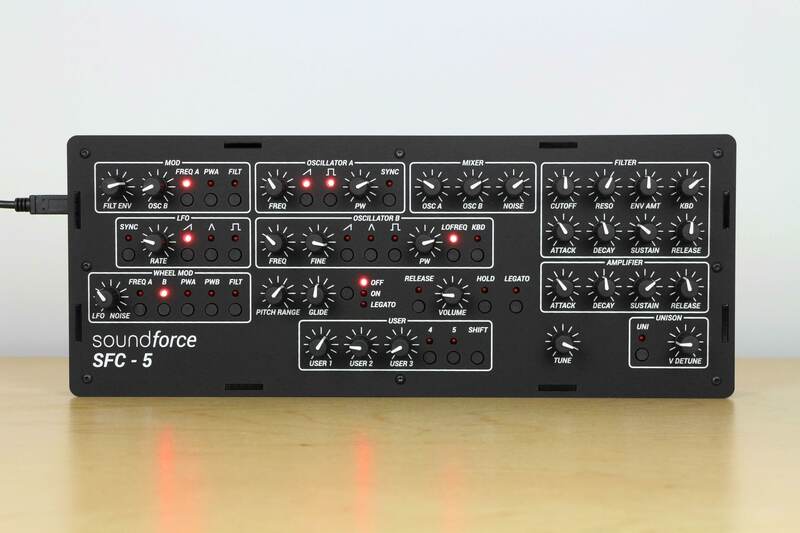 Can be a ADSR, dual LFO, random CV generator, melody/sequencer generator, etc.. 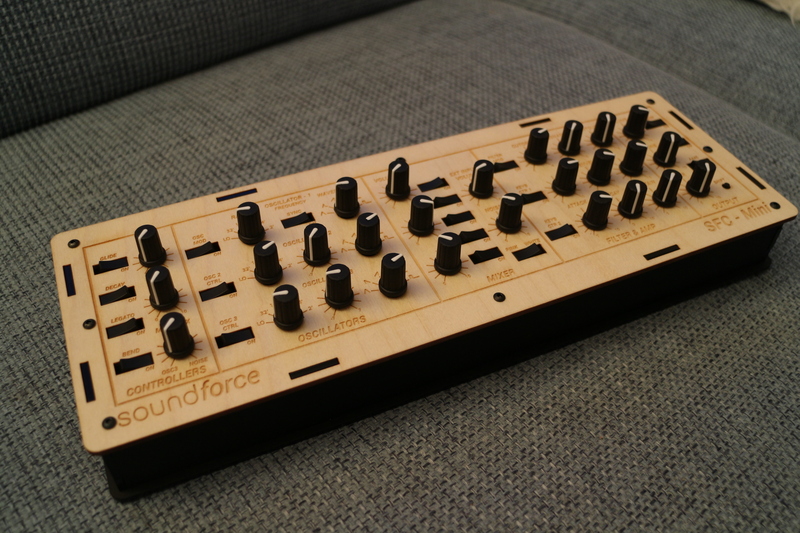 I have programmed solid firmwares for an ADSR and dual LFO. Countdown to Superbooth 2018: Time to relax. Great progress done this week to prepare for the show. Time to relax with some retro games. 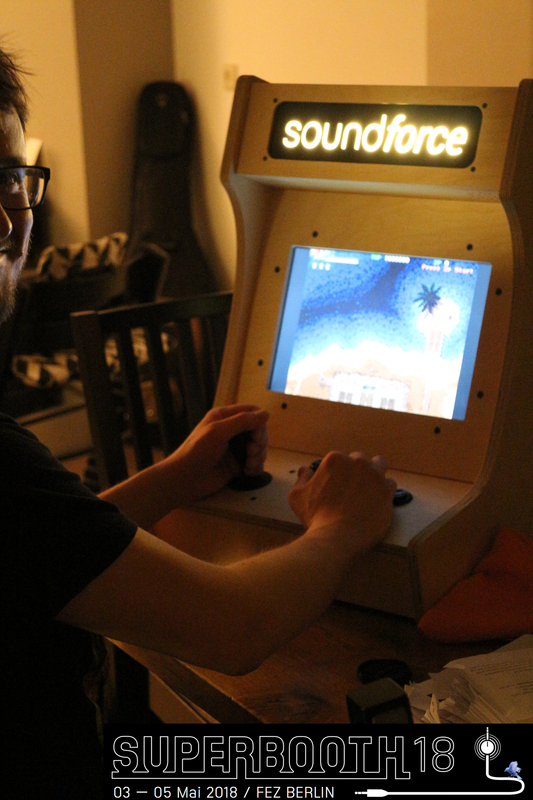 You can try the SoundForce arcade yourself at booth 0542. 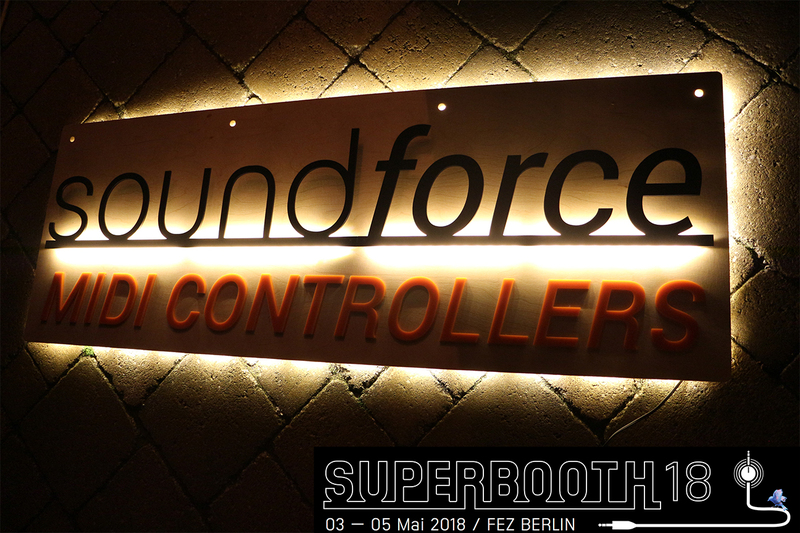 Countdown to Superbooth 2018: Signage with LED strips done. 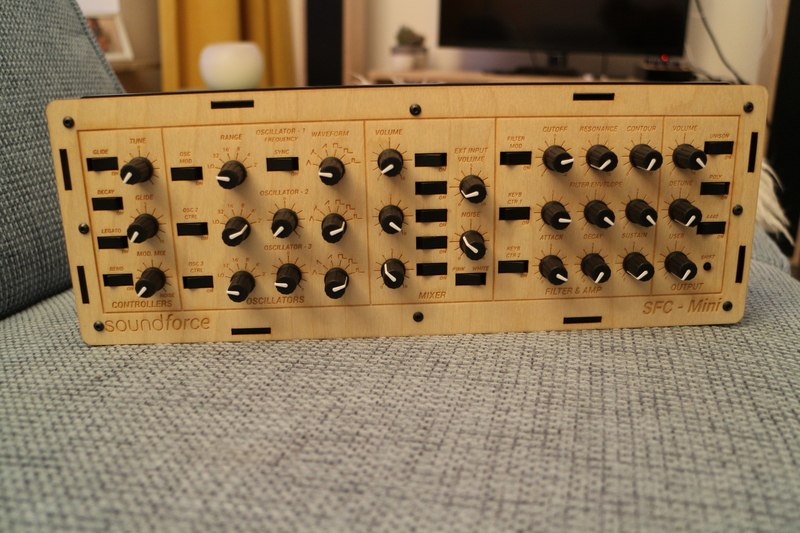 As I am working hard preparing the new products, I will post more updates and cool stuff about the process of making those products as a countdown to SuperBooth. Come along to check out the controllers or just say hi! 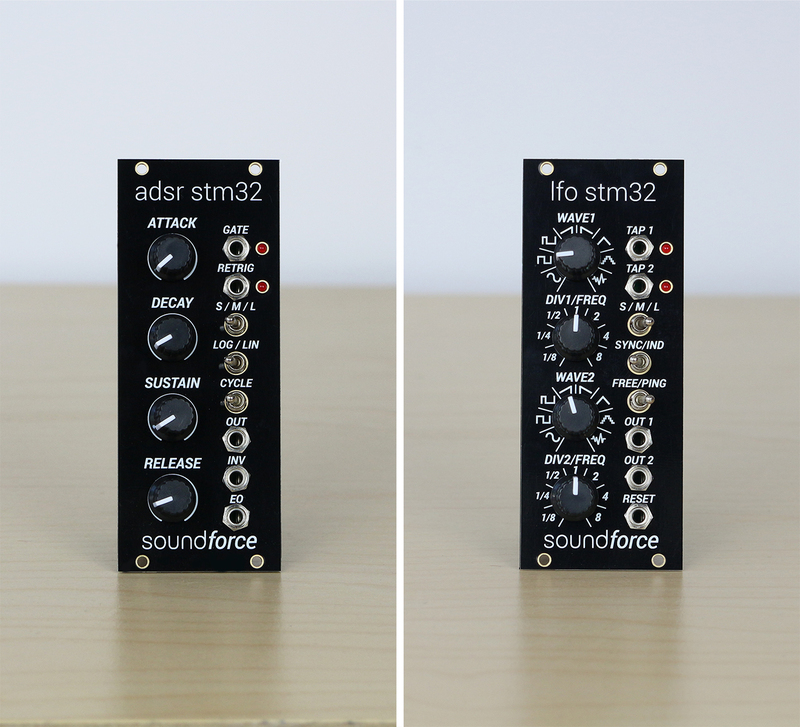 I have 2 units in the shop of the new version of the SFC-Mini. Those are testing units of the new model, 100% working and fully functional. 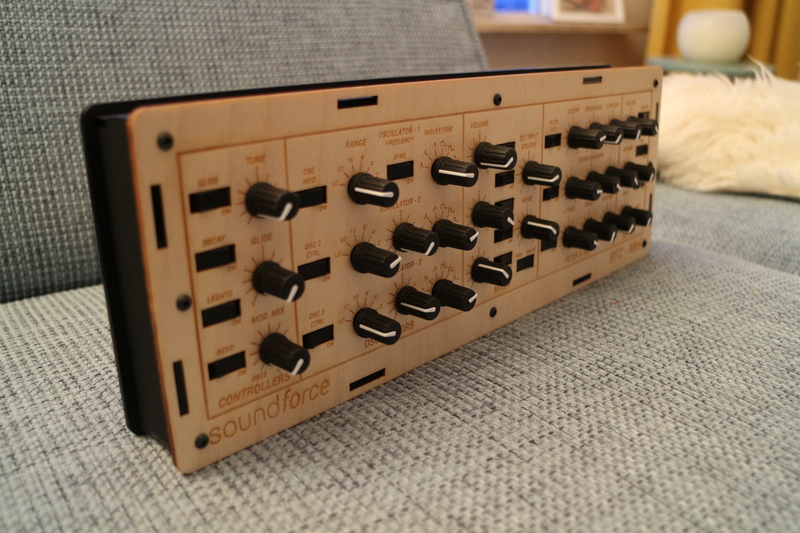 New features are the rocker switches, very Minimoog-like! 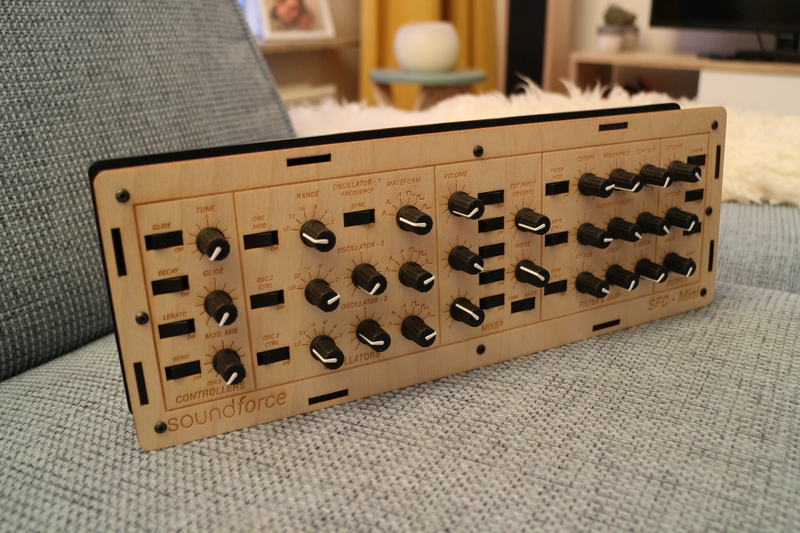 The front panel is wood with a protective coating, the sides and back plate are black acrylic plastic. Only 2 units were made with this finish and color scheme. Please note the product pictures are done in my living in an amateur set-up.